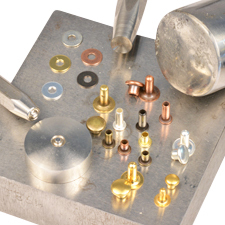 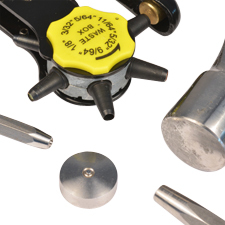 The artisans at TierraCast have spent the past year coming up with the next generation of Riveting tools and components. 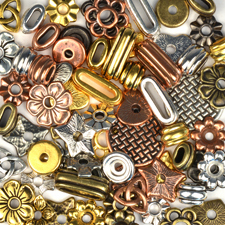 We are very excited to launch Riveting 2.0 and challenge all designers to see what creative and innovative jewelry designs you can come up with using the new tools and products. 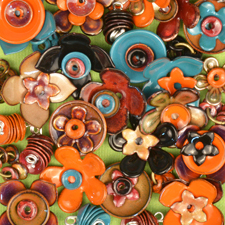 Choose from 33 styles of Flat Leather, possibly a focal centerpiece, some decorative beads or slides and your finishing Clasp. 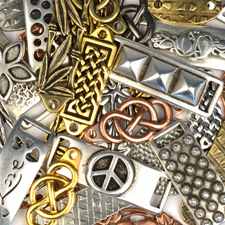 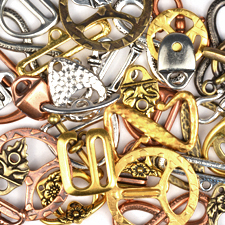 Take a look below at the rivetable design elements giving you infinite possibilities to create unique and stunning jewelry.